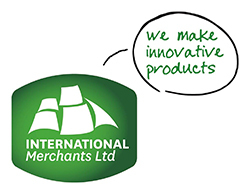 International Merchants Ltd is a 100% NZ owned, Hardware supplier based in Tauranga, New Zealand, specialising in products used in and around the home. Our management team have been involved in selling and distributing hardware products into the NZ market for over 40 years. We know our business. We design and manufacture many of our products and all have innovative features that stands them apart. We will be constantly adding to our product range and we have many more innovative products already in the pipeline. With world leading brands like GetSorted Storage and Home Pro evolving, International Merchants is leading development in many areas of the Building Industry.